Christmas time is approaching and minds are starting to race with gift ideas for those special people on our shopping lists. As the holiday season approaches, my mind also goes to ways that we can help others. Donating toys to a toy drive, adding non-perishables to the food bin in the grocery store, making Christmas cards for seniors, and this year, buying gifts for my family and knowing that purchase is also going to help someone overseas. "Warm hearts are giving hearts, give with all your heart." 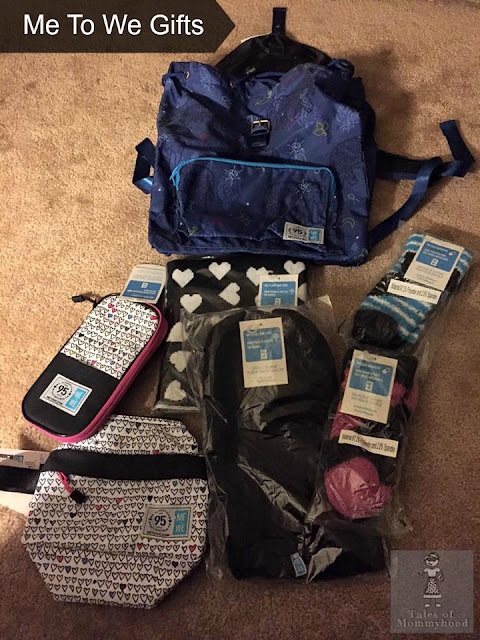 The Staples Canada "Me To We" program is filled with gift ideas that can be purchased - warm mittens, back packs, school supplies, passport holders, magnets, water bottles and many more useful, everyday items. When you purchase any of these products, life changing gifts are given to a child overseas. The gift given depends on the gift purchased. Each product has a tag attached that tells you (and your gift recipient) what gift was given to a child overseas. Gifts available for purchase have a wide range of prices from $1.50 up to $49.98; gifts given to children overseas range from clean water, food, trees planted and even medicine for a sick child. Each purchase has a code that allows you to track your impact. Go to the track your impact website, input the code and you will see how you are helping! We are so fortunate to live in a country where we have access to clean water at our fingertips, warm clothes and healthy food. This year, while making your Christmas shopping list why not add some of these useful gifts, and feel good knowing that your purchase is helping a child in need. 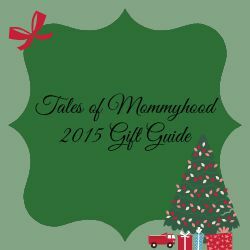 Tales of Mommyhood received the products shown above in exchange for this post. My family will be donating these to help people in our community that are in need. A small way for us to help those around us this Christmas. I love that staples does this! The me to we campaign is an awesome endeavour. I will definitely be buying some of these products for Christmas! Thanks for sharing!